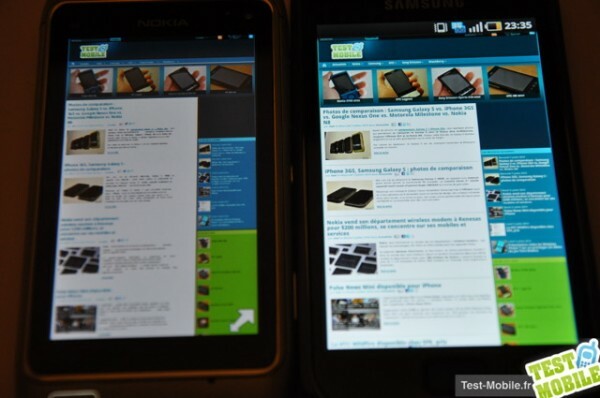 TestMobile compares the Nokia N8’s AMOLED with the Samsung Galaxy S’ eye melting Super AMOLED. 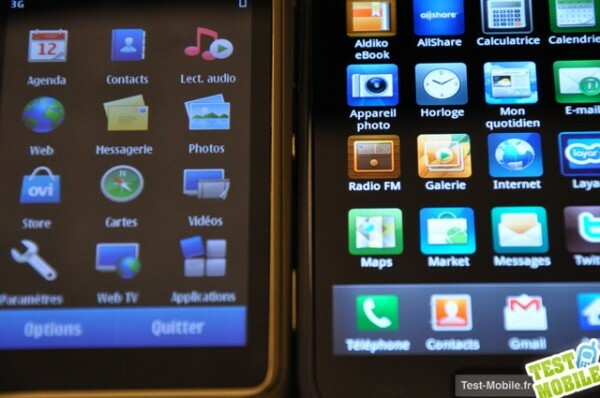 Though of course the camera could increase/decrease the differences (adjusting to brightness of one screen, affecting look of another), disregarding this, in the photo below you can see that the deep blacks and brighter whites in the Super AMOLED display. I’ve seen both, but only individually so I can’t comment on comparisons, but both look fantastic. In AMOLED vs TFT LCD, AMOLED displays are brighter, have higher contrast, richer more vibrant colours and consume less energy. In AMOLED displays, each pixel controls its own brightness, as opposed to having a unified backlight in TFT, so blacks can be well, blacker and whites can be whiter and the colours are richer and more vibrant. Plus by not needing a backlight, they can utilise less power. 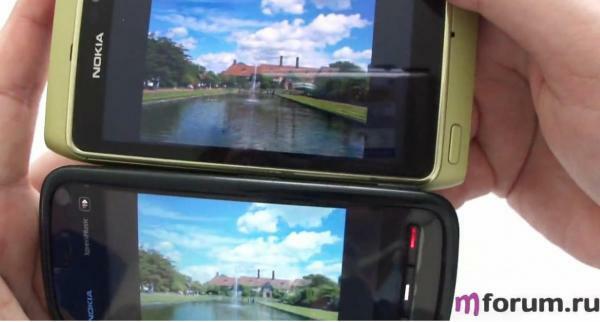 Here’s the HTC Google Nexus One AMOLED vs Super AMOLED on the Wave (on top) VIA Mobile-Review. 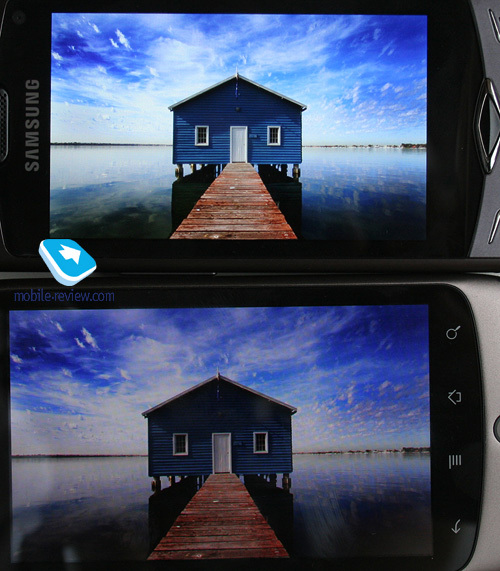 The differences are much more obvious here, the Samsung is bursting with brilliance. 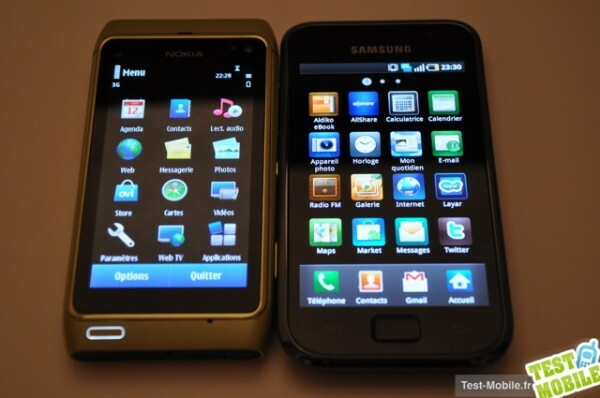 Comparison shot between the Nokia displays by All About Symbian. 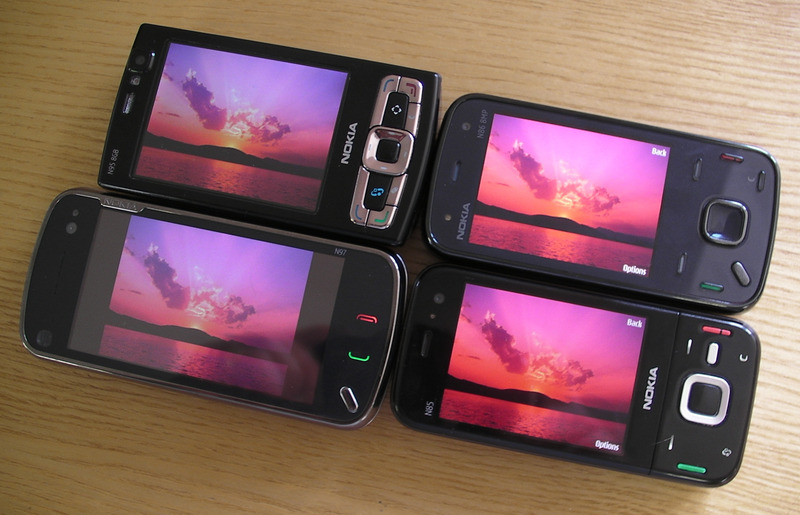 Apparently N8’s AMOLED is much better at outdoor visibility than N86/N85 which suffered from vampiric screens.